SKU: SKU16249. Categories: All Toothpaste, Crest Toothpaste. 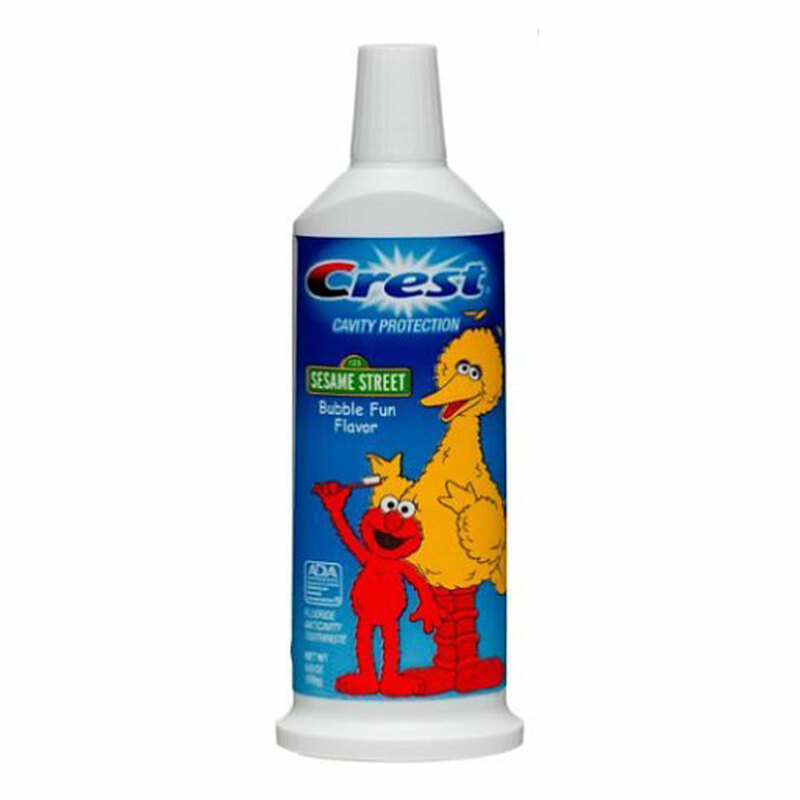 Make brushing fun for your kids with toothpaste featuring their favorite Sesame Street characters. They’ll be fighting cavities with clinically proven Fluoristat that’s gentle on tooth enamel. And the friendly characters make brushing fun to encourage the daily habit. comes with fun filled sparkles and Bubble Fun flavor that kids will love. How much toothpaste is enough?